How about living within your means instead of borrowing money so you can lead a lavish life you can ill afford and which will plunge you into further debt? So do away with the urges to change to a trendy smartphone, that new Prada bag, a Hugo Boss suit. Or perish the thought of it? Help me decide. I refer to Hafidz Baharom’s piece, “Time to really help individuals in debt”. I must say there are many points on which I disagree with him. I do agree that many people, especially the young, are in debt. However I disagree that using their EPF savings or giving them more loans is the way out of it. 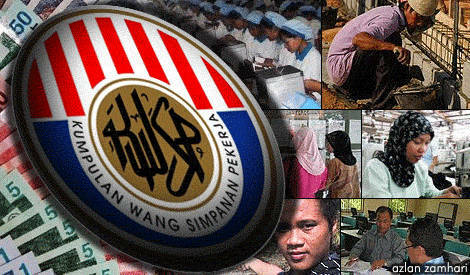 For goodness sake, EPF is not a magic wand to solve all our financial woes. Over the years we have allowed EPF withdrawals to buy houses, computers, invest in unit trusts and for medical treatment. Now we even want to use EPF savings for credit card debt settlements? If we continue with this trend, there will be nothing left for retirement. Please, are you fellows expecting the government to come to your rescue when you are old and tattered and with nothing in your savings account? Frankly, I am quite tired of hearing ways and means to try to get people out of debt. We should first ask why they are in debt. Should we not be addressing this and asking what can be done to avoid falling into debt? Debt is an “income-expenditure” issue. If our income is too low, we either find ways to increase our income or reduce our expenditure by changing our lifestyle. We simply should not borrow money to sustain our lifestyle. If we do that, we can never get out of our debt. In fact, our situation can only get worse. Even if EPF withdrawals are allowed, in no time the savings will be all gone because our income and expenditure “equation” would have remained unsustainable and untenable. Despite slow income growth among many Malaysians, I believe many incidents of debt are due to poor financial discipline, lack of education in financial management and unsustainable lifestyles. Many cannot differentiate “needs” from “wants”, the essential from the non-essential and the important from the unimportant. Herein lies the genesis of their problems. You be the judge if I say it is not necessary to borrow excessively just to get married (i.e. to spend on the elaborate ceremony). It is also not necessary to change your handphone every year; eat in fanciful restaurants every week; or go for holidays every year. Worst yet, is to borrow to go for holidays or to buy branded goods. Being frugal is not a sin, more so if your income is small. Wake up a little early. Packing a homemade lunch before you go to work is one good way to save on food costs. Bring along boiled water from home. These measures not only help you save, they are healthier options too. Quit smoking and drinking alcohol. These are expensive addictions which eat up a big chunk of your income and they have brought you nothing good in return. Please don’t argue that smoking and drinking help ease tension. No, it doesn’t; it only adds to your financial woes and wrecks your health in the process. I know what some of you are thinking – life would be so boring and meaningless. But then it is far better to be debt free than being chased after by creditors day and night. Lifestyles must be based on affordability. Delaying gratification is a virtue. Everything has its time. There is a time to sow, there is a time to reap. Hafidz Baharom, please don’t preach adventurism here.